Fans of authentic salsa and guacamole are probably familiar with the historic cooking and grinding tools called Molcajetes. A Molcajete is a stone bowl used for mashing seeds, spices and herbs. A must have if you love preparing authentic tex-mex cuisine. But beware; these new bowls must be seasoned before use. 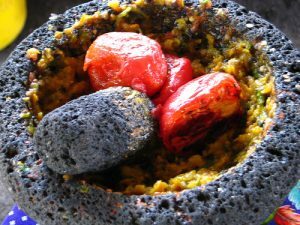 This special mortar and pestle – traditionally carved from basalt volcanic rock – is a common tool in most Mexican restaurants. In fact, many dishes like, pico de gallo, and guacamole are served right inside this rustic bowl so you’ll want it to be free of stone particles. True molcajetes can be found from many online merchants for twenty to forty dollars plus shipping but they are likely to be delivered to you unseasoned. That means you may even see grains of rock still loose in the bowl. The rough and unfinished look of the molcajete is beautiful. However the grit and sand it could leave in your first batch of salsa or guacamole is definitely something to avoid. Here’s how you can season your new toy. When you first receive your molcajetes clean and season the mortar and pestle thoroughly with a wire brush and then give it a good scrub with a clean damp cloth. Paper towels are not strong enough for this task. Next start hand grinding small batches of rice in the molcajete. This will start to dislodge the loose stone and make it a bit more clean. Repeat this process with several batches of dry uncooked rice until you no longer see any grains of black sand in the rice flour. You’ll want to really use some elbow grease and grind the grain into as fine a power as you can. Again repeat. Any remaining rice sediment in the bowl is not a concern. Then take a slice of sticky soft white bread and grind it into the bowl to dislodge and draw out more sediment. You may want to repeat this step as well before you are sure there is no more sediment to be found. It takes some people ten to twelve rice grindings before they are really comfortable grinding food to serve. If shopping for a molcajete beware there are some imitation bowls made of concrete or pressed rock being sold as “authentic.” Look for a disclosure that they use real volcanic rock. The molcajete is a beautiful tool for your kitchen and should last a lifetime in your kitchen. It was originally invented and used by pre-Hispanic Mesoamerican cultures like the Aztec and Maya thousands of years ago. Once you’ve seasoned molcajetes you can experiment and find modern and delicious recipes to prepare and serve in. Find a few online now at the site Fundido Tex Mex. 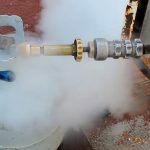 Propane – Best BBQ Fuel Source? 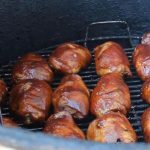 What’s the best BBQ fuel source? Purists say charcoal. Hardwood lump. Hardwood. But the crew at our weekly BBQ and Grill show – GrateTV – think you can still get a great tasting product with propane gas. your life may be a little easier in the process. 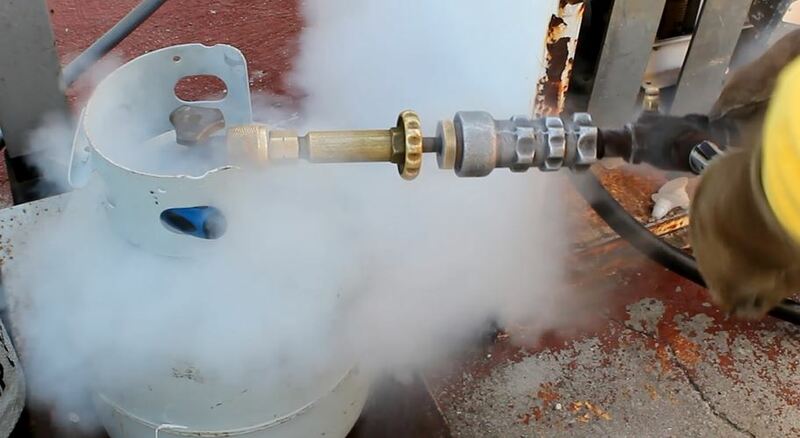 Charcoal snoots beware – you may not want to hear this. This first recipe is a very simple one for those of us who have long had that habit of eating “junk” food. We can safely classify “junk” food as anything that is high in cholesterol and trans fats. Regular potato chips for example is a classic case of this. For the health conscious, grilled potato chips are a natural alternative to all that prepackaged fried chips. 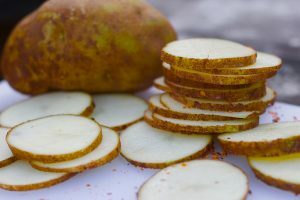 There is nothing better than homemade, straight from the grill potato chips, which is sure to be a hit with the family and friends at your next get together. Now, these chips can be served very nicely with a side dish. Low fat cheeze, salsa dressing or sour cream dip. The difference is that when you grill, the food cooks in it’s natural juices. So let’s get straight into this quick and easy recipe on how to prepare this vegetarian grilling snack. Heat the grill as directed. 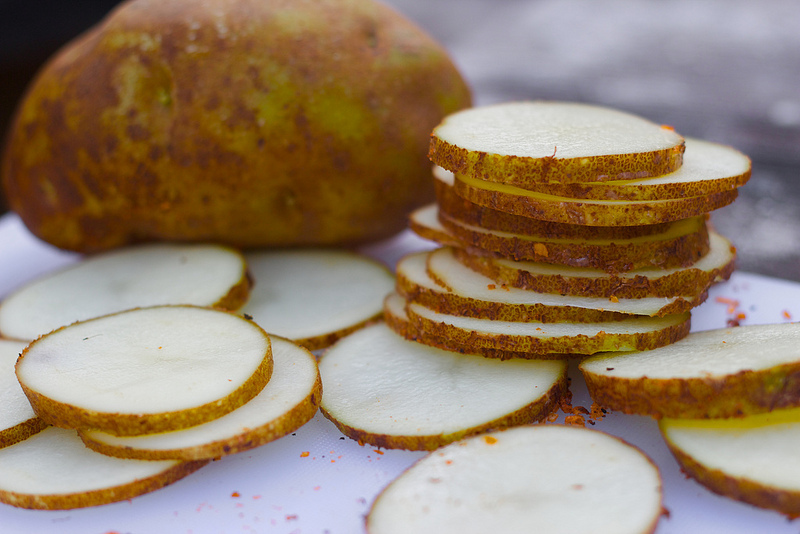 Slice the potatoes into pieces that are as thin as possible striving for less than 1/16 inch. Take 2 tablespoons oil and lightly toss so that all the chips are covered. Lightly coat the grill screen with oil. Grill the chips in batches until browned at the edges, about 3 minutes per side. Once done, remove with a spatula and season with salt and /or pepper, if desired. I would recommend you use natural fine grained sea salt. Try to keep away from the artificial stuff and MSG based seasonings. You would be amazed, just like me, at how many foods we take for granted, and naturally assume that frying is the best way to cook. I believe we need to think about how we cook our food. Grilling and baking have been used by our ancestors for generations and we need to consider these methods more on a daily basis. Thanks for reading this article and always remember, serve with a smile! Look out for our next recipe in this series. Christopher Sha has been writing for 15 years now. His philosophy is pretty simple, work smart, keep things simple and reap the benefits of a practical approach to everything in life. 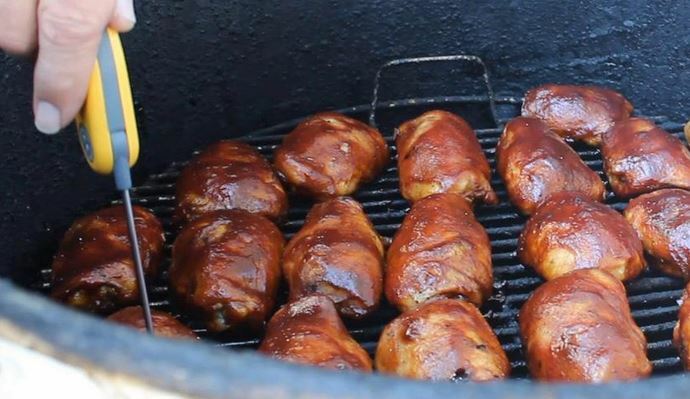 You can check out his latest charcoal barbeque grill website where you can read reviews on the best barbeque grills. 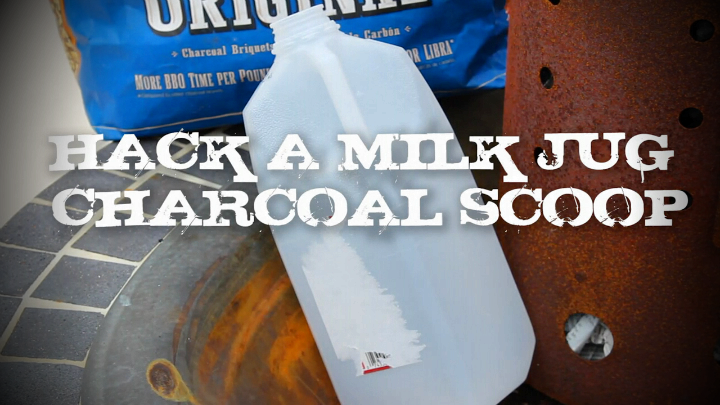 If you’re looking to avoid sooty hands before cooking in the back yard here’s a quick trick to recycle an old milk jug into a multi-purpose scoop. The half gallon size works best. Just use some good scissors and shear off the bottom of the jug and a portion of the handle side. Simple ’nuff. Sure you can always just pour the coals straight out of the bag…. but hey this is real recycling. Take a look at the sizzling new “sizzle” reel for GrateTV and remember to keep checking back to GrateTV: New Episodes Every Thursday!